A familiar face is returning to the Buffalo Bills secondary. The NFL Network's Ian Rapoport reports the team has signed cornerback E.J. Gaines to a one-year, $3.6 million deal. The 27-year-old Mizzou product spent last season with the Cleveland Browns, but played for the Bills in 2017, starting 11 games. A sixth-round pick in 2014, Gaines spent the first three years of his career with the St. Louis/Los Angeles Rams before being traded to the Bills in the summer before the 2017 season as part of a deal for wide receiver Sammy Watkins. 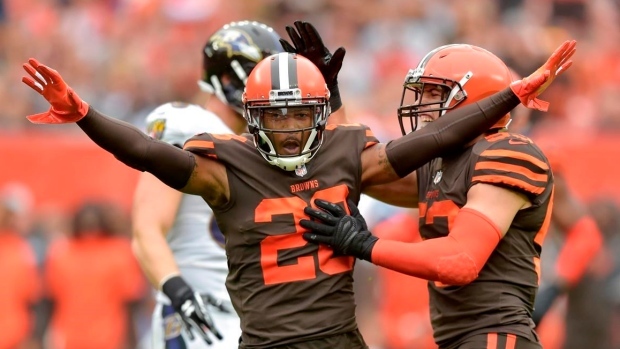 Gaines appeared in six games for the Browns a season ago, recording 13 tackles and an interception. The Independence, MO native had 59 tackles, three forced fumbles and a pick in his lone season with the Bills.